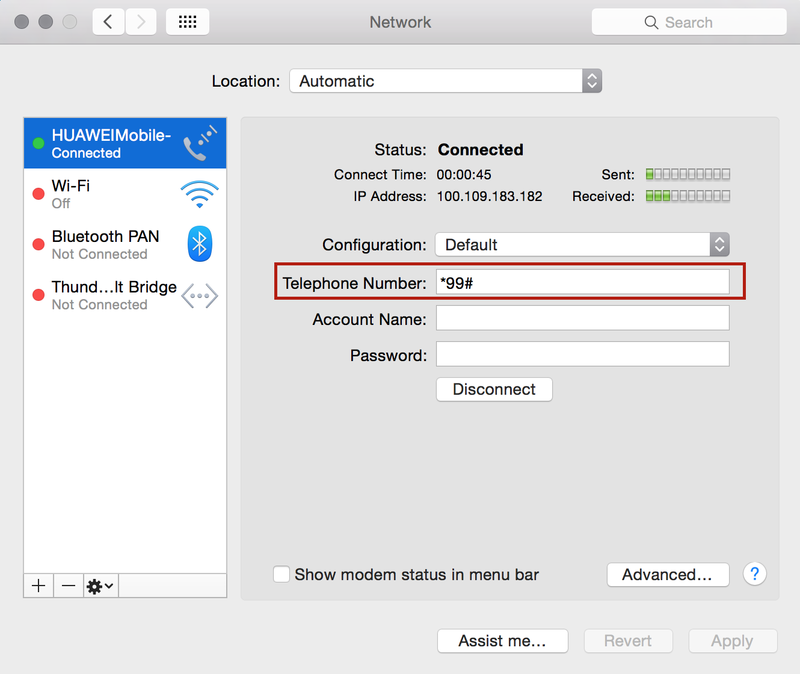 Add *99# as the Telephone Number in the Network settings for ‘HUAWEIMobile’ service. P.S: I have heard that the Airtel 3G dongle works seamlessly, without the need of any custom configurations, with both Microsoft Windows and Mac OSX Mavericks. Looks like this issue is only with the latest version of Mac OSX – Yosemite.